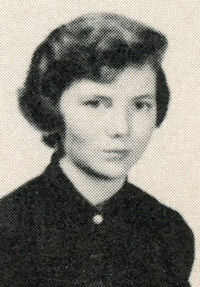 Obituary – Greiner, Dianna Jeanne (Andrews) « Perry High School Alumni Association, Inc.
Dianna Jeanne (Andrews) Greiner passed away Tuesday, Sept. 04, 2012 in Bartlesville, Okla. Jeanne was born Jan. 17, 1937 in Perry, Okla. to William Harrison and Lucille (Rynearson) Andrews. Jeanne attended Cameron University and Northern Oklahoma College. She worked for Andrews Bookkeeping, TG&Y and the Oklahoma Department of Transportation in Perry. 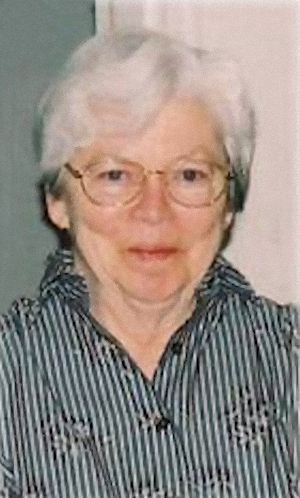 She was an avid lifelong reader, accomplished seamstress, quilter and devoted mother, grandmother and great grandmother. Jeanne married Al A. Greiner in Taos, N.M. in 1975; he preceded her in death on June 25, 2012. She is survived by her children, Pat Sayre and her husband, John, of Nashville, Ark., Peggy Longworth and her husband, Steve, of Flower Mound, Texas, David Rau and his wife, Linda, of Belleplain, N.J., Cindy Greiner of Oklahoma City, Okla., Judy Scoggins and her husband, Dwight, of Post Falls, Idaho and Cathy Casad and her husband, Maurice, of Bartlesville, Okla.; grandchildren, Lauren, Ashley and Emily Rau, Laura and Ed Lincoln, Darin and Justin Scoggins, Catie (Sayre) Ross, Will and David Sayre, Laura (Sayre) Solkey, Skylar (Greiner) Sever, Stefanie (Longworth) Stewart, Kyle Longworth and Kelsey and Megan Casad; and eleven great grandchildren. A graveside service will be held at 10:00 am Saturday, Sept. 8, 2012 at Grace Hill Cemetery in Perry, Okla. Cremation arrangements are under the direction of the Arnold Moore & Neekamp Funeral Home, Bartlesville, Oklahoma.